Fiberboard paper stock gives packages a rough texture. Material is very absorbant and results in a soft, organic look. You can use the natural unbleached paper color as part of your art, prints colors directly on it for a muted effect, or print with a white area to help them stand out more. 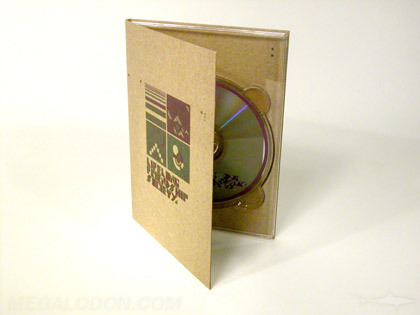 See our special page on spot white ink on fiberboard packaging, setup and examples. Recycled Paper stock is almost indistinguishable from regular paper stock in appearance. The more the recycled content, the softer the feel. Recycled can be ordered in coated or stock to suit your art.